We’ve all been there – missed the boat, missed the point, missed the chance at that something or someone special now long gone. We ache for a do over knowing full well if the wish were granted it would forever change the person we’ve become. Two Minutes Two Late is a collection of stories detailing the missteps of a hapless romantic. Looking back, I’m amazed at how much of my youth was spent in an apathetic, egocentric daze. Sure, I did things, but mostly I just thought about doing things…someday when everything was just so. It never happened, of course. There was always a monkey in the wrench of life preventing me from making real that which I saw so clearly in my mind’s eye. And so I waited as my introverted childhood was slowly and completely encapsulated by fruitless daydreams. I never fought the bully. I never even raised my voice. Adolescence was easier I guess, but only because I knew the game. As a bumbling wealth of impotent romance, I never once acted on the yearnings in my heart. I practiced lines I never tried, wrote songs I never sang, and gazed endlessly into mirrors that could do nothing more than serve a bitter slice of truth. I missed the prom. I missed the point. And I missed the boat on a number of friendships that, like so many things, are now gone forever. Two minutes too late. It’s a small saying with a big price tag. If you’ve been there ¬– and who hasn’t? – you know what it’s like to ache for a do over, knowing full well if the wish were somehow granted it would forever change the person you’ve become. 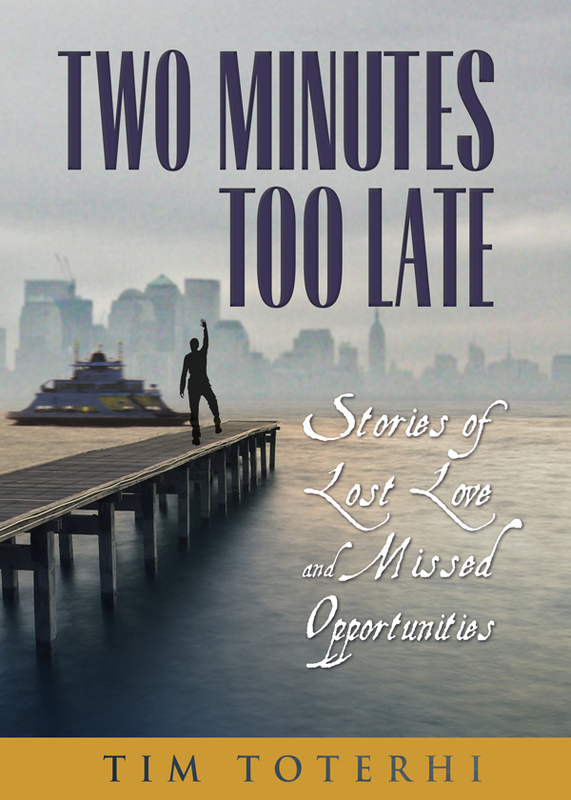 Two Minutes Two Late is a collection of stories detailing the missteps of a hapless romantic. From career blunders and criminal exploits to dating debacles to goodbyes unsaid, it reminds us that while follies happen to the best of us, the future is unwritten and ours to explore. You can purchase the book online from Amazon or Smashwords in multiple eBook formats at https://www.smashwords.com/books/view/365815.